The savoury course used to be extremely popular; a delicious morsel, which was salty, creamy and spicy, serving as a digestive after a rich meal, either as a final course, or before a sweet. What often happened was that the gentlemen ate their savouries and went off to drink whiskey and play bar billiards, and the ladies had their sweets and swished off to the withdrawing room for cards, chats and sherry; there were no non-binary genders allowed here, let me tell you. I’m a big fan of the savoury course and I often include one in my supper clubs and pop-ups. They had gone out of fashion by the mid-twentieth century, the only real survivor being the cheeseboard. Savouries have of course lived on as first courses, canapés, teatime snacks and light lunches, and you will have eaten some of them, and many have already appeared on the blog. 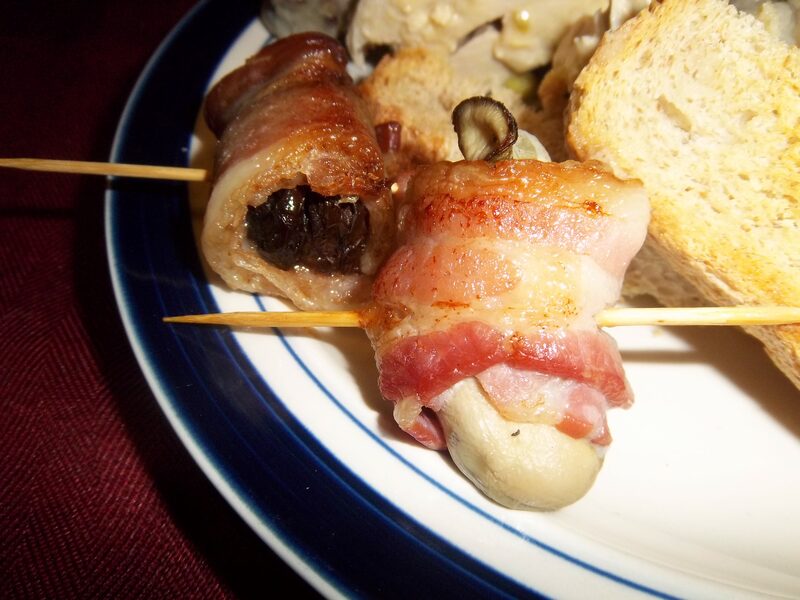 Delicious morsels like devilled kidneys, Welsh rarebit, potted chicken livers, potted cheese, Patum peperium, rillettes, angels & devils on horseback and sardines on toast have all been served up by Yours Truly at some point. Two of my favourites are Scotch woodcock – a spiced anchovy butter served on toast covered with a creamy, savoury custard – and Locket’s savoury, a slice of toast topped with ripe sliced pears, wilted watercress, and a thick blue cheese sauce which is then grilled, rather like Welsh rarebit. Delicious! It was nice to see Nigella Lawson championing the devilled egg recently; a woman after my own heart. Savouries are often served on toast, fried bread or some kind of biscuit or cracker. In Eliza Action’s 1845 book Modern Cookery for Private Families, there is just one recipe for savouries which appears to be a proto-croque monsieur, with a small footnote. She doesn’t seem to approve. In the twentieth century, however, you get entire books of the subject, the best being Good Savouries by Ambrose Heath (1934). What makes a good savoury? Size matters: it must be one or two mouthfuls, so the best vehicles are toast, fried bread or crackers. However, boiled eggs work well as do oysters in the shell. As long as you can eat it without cutlery, you’re doing good. Salt: savouries are almost always highly seasoned with salt. This is apparently the digestive part, but it also functioned to give people a good thirst ready for a boozy evening ahead. Salt itself was rarely used, it’s much better to use more interesting ingredients such as anchovies, cured meat and fish, cheese and relishes such as mushroom ketchup, Worcestershire sauce, etc. Heat & spice: quite a lot of the ingredients served more that one purpose, so most of those listed above fit into this category too, but there was also good old black pepper, English mustard, Cayenne pepper, curry powder and Tabasco sauce. Strong flavours: other strong flavoured things were used, such as blue Stilton, kidney, liver, game and smoked meats and fish like ham, bloaters and even red herrings. Creaminess: all that salt, spice, richness and heat was often tempered with something bland and creamy and a variety of things were used for this purpose, such as cream (obviously), egg yolks, savoury custards, béchamel sauces, soft cheeses, brains, sweetbreads, lambs’ fries, fish roes, oysters and left-over poultry meat. Probably the most infamous savoury is the devilled kidney, but you can devil lots of things. 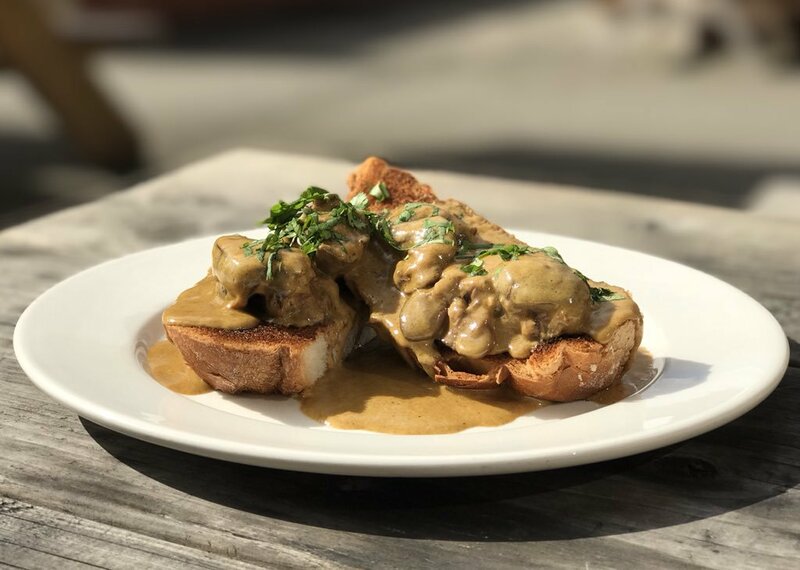 I pride myself on my devil sauce, and at The Buttery devilled chicken livers on toast became a rather unlikely signature dish. This recipe can be easily adapted if livers aren’t your thing: fish roes, kidney, brain, lambs’ fries, left over roasted poultry, mushrooms and even tofu can all be devilled with great success. My favourite is chicken liver because it has all of the qualities listed above in abundance. It’s a good idea to make extra devil sauce as it keeps in the fridge for a good ten days or so, and I can guarantee, you’ll be wanting to devil everything you eat from now on! Here’s how to make it. Serves 2 as a light lunch or snack, or three as a first course, or six as a savoury course. Simply beat all the ingredients together – taste and add more Tabasco and pepper if you like. There’s no need to add salt. First of all, check the livers for any bitter green gall sacks, which are often accidentally left on. If you sport one, snip it off with scissors. Get a frying really good and hot and melt the butter. As soon is stops foaming, add your livers. Try not to disturb them. After 2 minutes, turn them over and cook for one more minute. Next, add most of the devil sauce and fry a further minute, making sure the livers get coated in it. Add the cream and let form a lovely rich sauce, turning the livers over in it. 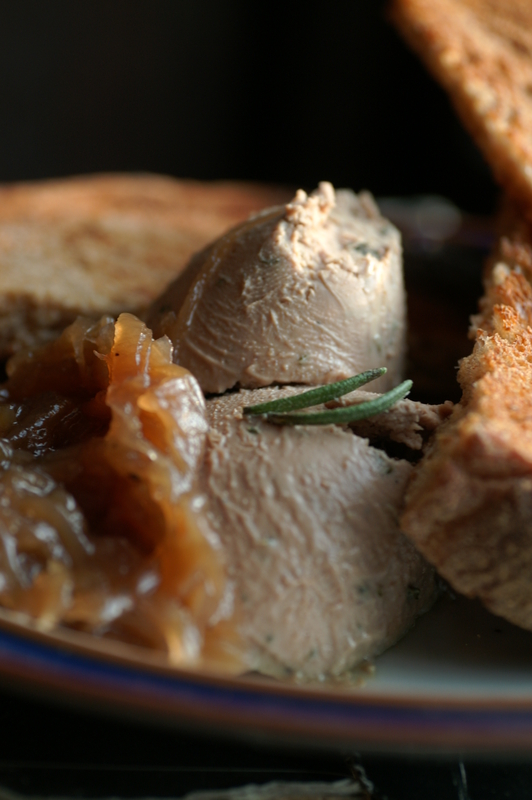 Have your toast ready on plates so you can top it with the livers and then the sauce. Scatter over some parsley and serve immediately. 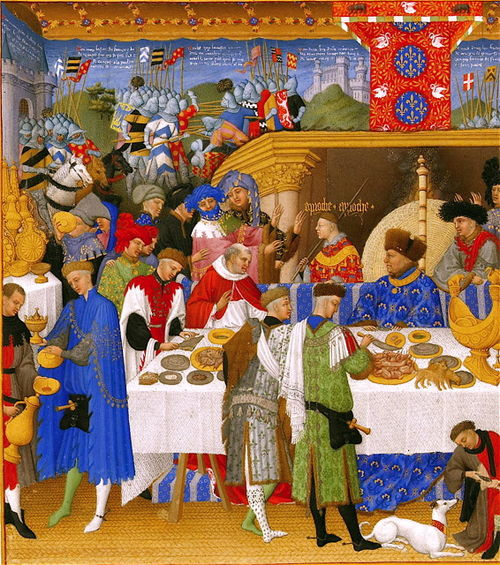 Whether a large-scale affair, or a small but formal meal, mediaeval dining followed a strict regime, and class and rank were very important. 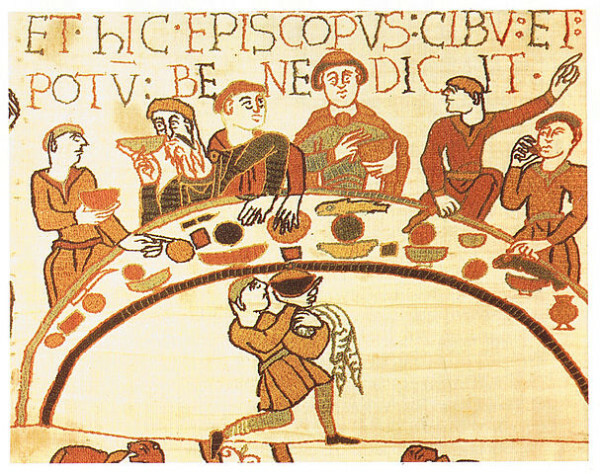 Everyone ate together, but people could not sit anywhere and eat exactly want they wanted and food was not shared equally. Before dinner was served, the dining area had to be prepared. Most of this work was done by some of lowest-ranking lads who worked hard fetching and carrying. They cut the thick sliced of rough bread to make trencher plates. They would wash, clean and polish cutlery and other tableware ready for the main meal of the day. Those that worked well may have gone on to become servers, carvers, or even butlers. 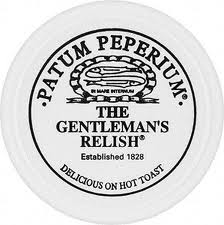 Important men such as knights and other ‘henchmen’ were looked after and fed by the Court Commissariat. Trestle tables were laid out (we still say we are laying the table day) and covered with a tablecloth and dressed with cutlery and other tableware. When William I dined, he would sit at his chair so the table could be laid over him and then dressed. He obviously liked it snug. One task was to remove the cups and other drinking vessels from their lidded storage box. The lid was removed and the cleaned cups were arranged on it, the lid was then placed back on top of the box so they could easily be distributed. This was known as the cup board. When the room was ready, diners would first wash their hands and then seat themselves appropriately. Typically there were three types of table. The lord and lady would sit with the most important people at the top table, then middle ranking tables for the middle class, and then the lowest junior tables for remainder of the people. Once seated, Grace would be heard and the food would be brought in, but no one could eat until the lord took a pinch of salt from his ceremonial salt cellar. The first course contained the most substantial dishes such as meat and pies, and following that in the second course, there would be sweet tarts, comfits, small songbirds and other delicate dishes. We kept this tradition in general, except for the birds (though if the fancy takes you, see this snipe post). Large banquets would have had impressive roasts, but day-to-day this did not happen. For example the mother of Edward IV, Princess Cecill generally served up rather austere boiled beef with the odd roast here and there. On Saturdays, she had fresh and salt fish and butter. Everyone got some of the first course, but it was not a free-for-all. The top table got a choice of around six, the middle rankers four and the juniors two, and less of it; the lord may have got a whole chicken to himself, but the middle-rankers may just have a quarter to share between several. The lads that were still working hard got some bread and cheese as respite. 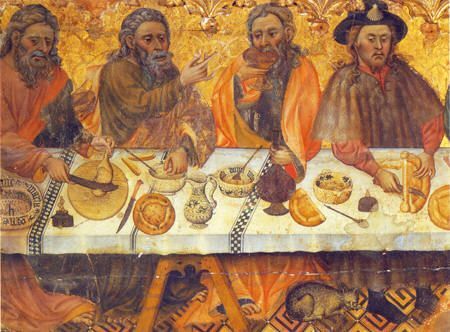 Once the meal got going, one might imagine a boisterous scene, but folk were expected to be polite, chatting in a restrained manner with no shouting, burping or farting. All quite sedate, except for the big feasts such as Christmas where tables were set up everywhere to accommodate the extra guests, even in sheds. Those lucky enough to be away from the prying eyes in the main hall could get very merry indeed. It’s worth mentioning that the types of foods people were eating in England in 1400 didn’t really change that much up right until Tudor times. Many dishes stayed the same, as did the ingredients, although many were easier to get hold of by then. There are some dishes recognisable to us today, at least in name, such as blancer mange and gingerbread. As mentioned above, folk sat at a trestle table covered with a tablecloth that was changed between courses. In front of you there would be a large rectangular piece of very hard bread used a plate called a trencher. There would also be a wooden bowl, used for the more sloppy and messy foods. However you did have to share this bowl between four. By way of cutlery, only a spoon and knife were available. You usually brought your own personal cutlery. Forks, by the way, were work of the devil. 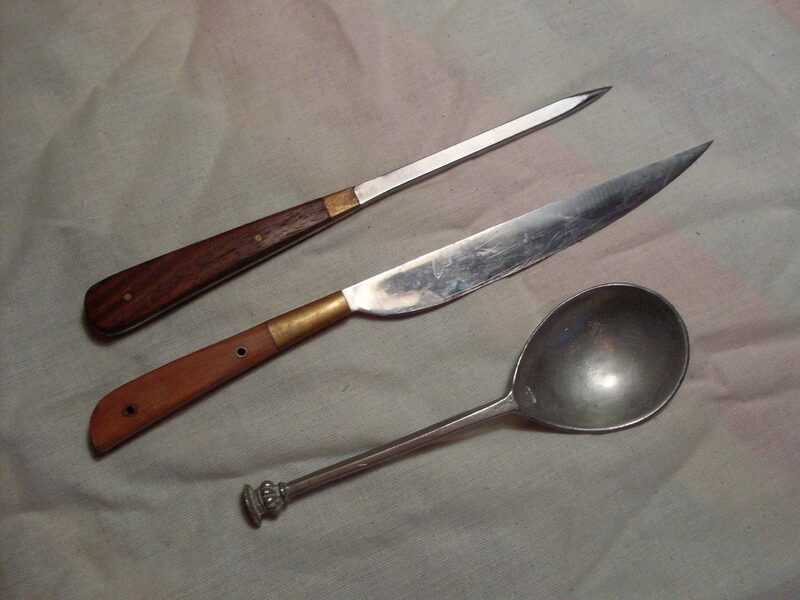 Knives could be used to stab large pieces of meat so it could be torn by the incisors. 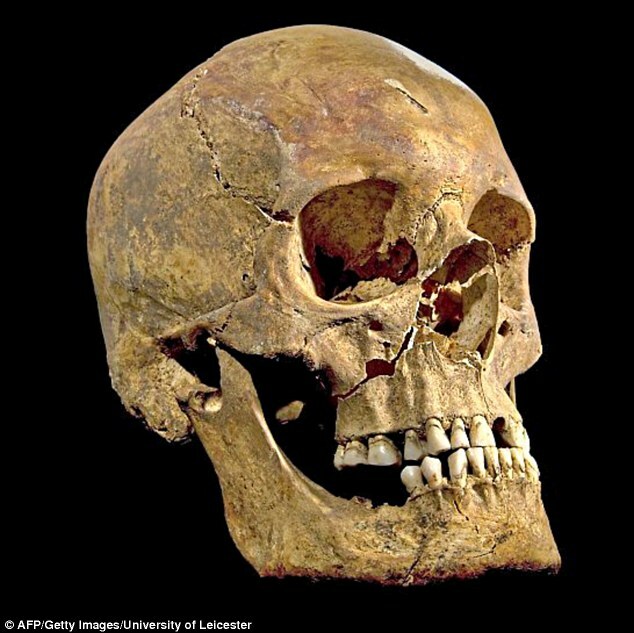 This tearing of food meant that top incisors wore away so that the they met perfectly in middle, unlike we modern Westerners who all have overbites because most of our food is cut up! If you got into a bit of a mess with all this wrenching of food with your gnashers, you would have to wipe your mouth on the tablecloth because napkins were not invented until the late fourteenth century! When they were introduced, they were large folded pieces of cloth laid over one shoulder. At the end of the meal, the bowls, trenchers and other unwanted foods were redistributed to the poor by the almoner.